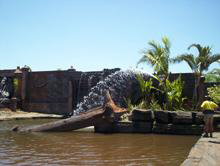 Oase produce and manufacture a large array of pond and water feature equipment from their operations centre in Adelaide. These include pumps and filters, pond vacuums and skimmers, floating fountains and variable nozzles to suit any design situation. Their range of pond jets are suitable for any medium to large pond and commercial application, with a variable maximum flow rate of 12,000 litres per hour. These are also available with a variety of optional features including underwater lighting and a selection of throw controlling nozzle options. The range of designer nozzles from Oase ensures that your water fountain creates the most suitable effect, and are available between ½” and 2” nozzle models, depending on the height and pressure required. 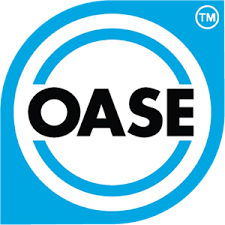 Oase Australia is an Adelaide owned and operated arm of a German pond equipment specialist and have decades of experience in designing and manufacturing products of an international export standard, each purpose built to stand up to long-life application. With over 8 years experience in pond feature development, Oase Australia has gained extensive knowledge of pond hardware systems and it is for this reason that they know they offer the best products available on the market today.